Dr. Sam Assassa is a world-renowned non-invasive and aesthetic cosmetic surgery specialist. In 1995, he founded Beverly Hills Aesthetics, a cosmetic surgery center providing clients with non-invasive surgical and laser services in the comfort of his state-of-the-art facility. Dr. Assassa has extensive experience in minimally invasive medical and surgical aesthetics, has performed over 25,000 aesthetic procedures, and has lectured in over 15 countries in 3 continents to over 5,000 delegates. He is an avid contributor to the global advancement of innovative liposuction techniques and medical aesthetic procedures. Dr. Assassa is a certified educator for International Academy of Aesthetics, an associate member of the American College of Physicians, an affiliate member of American Academy of Cosmetic Surgery, member of American Society of Liposuction Surgery, a member of the American Mesotherapy Association, American Academy of Anti-Aging Medicine as well as serves on the advisory committee of the American Aesthetic Medicine Association. He is also a member of the American Society for Laser Medicine and Surgery and the American Academy of Aesthetic Medicine. Dr. Ayman Hakki is a board certified general surgeon who received plastic surgery training at Georgetown University Hospital in Washington, D.C. He is one of the leading cosmetic surgeons in the Baltimore, Maryland area and an esteemed member of the team at Chesapeake Plastic Surgery Associates. Dr. Hakki is a recognized portrait artist and brings his artistic skill to his work as a non-invasive cosmetic surgeon. He has written a number of cosmetic surgery scientific papers and often presents at national aesthetic surgery meetings. Dr. Hakki established his cosmetic surgery office in the Washington, D.C. area in 1993, and also runs a successful practice in Maryland. Dr. Hakki has been featured on MTV’s “True Life,” and has a monthly-published article in the Medical News of Maryland. Dr. Hakki is a Fellow of the American College of Surgeons and is also Assistant Clinical Professor of Plastic Surgery at Georgetown University Hospital. He continues to be active in cosmetic surgery training for younger physicians. Kareem Assassa currently serves as Chief Operating Officer of The American Association of Aesthetic Medicine and Surgery (AAAMS), Co-Founder and Chief Executive Officer of International Academy of Aesthetics, the world’s first social online learning management system dedicated to the field of aesthetic medicine, dental aesthetics & cosmetic surgery, Founder and Chief Executive Officer of Pursue Solutions, a business and project management consulting firm specializing in the med spa, aesthetic medicine and cosmetic surgery industry, Owner of The Beverly Hills Photographer, a leading photography company in Beverly Hills, and is the co-owner of several other businesses. Accountable for the day-to-day administrative, financial, and risk management operations of the association including the development of financial and operational strategies with metrics tied to organizational performance, directing the sales administration functions and tracking operational performance reporting. Responsible for creating diverse partnership opportunities and leading all global expansion negotiations. Manages ongoing development strategies to preserve company assets, report accurate financial results, monitor CRM system, track ROI and develop effective advertising and marketing strategies. Dr. Nikolay Serdev is the innovator of the Scar-less Serdev Suture Suspension Lift. This method is used in the face and body to correct early ptosis and flabbiness of the tissue. Dr. Serdev is an international speaker and a well-known professor at the International College of Cosmetic Surgery and CIUniversity. He is a national consultant in aesthetic cosmetic surgery for the Ministry of Health in Bulgaria and a member of the Bulgarian Examining Board in Aesthetic Cosmetic Surgery and Medicine. An Honorary member of the French Society of Aesthetic Surgery and an Honorary Professor of the East Asian College of Cosmetic Surgery, Dr. Serdev also acts as a Professor and Program Director for the International University Program of Post Graduate Specialization in Cosmetic Surgery at New Bulgarian University in collaboration with ICCS and IBCSM. Since 1994, Dr. Serdev has been the Director and Head Surgeon of Sofia Medical Center, Program Director of the Postgraduate NBUniversity Program Specialization in Cosmetic Surgery, and Managing Editor of the International Journal of Cosmetic Surgery. Dr Serdev is a member of the Editorial Advisory Board of the “International Journal of Cosmetic Medicine & Surgery” and participates on the editorial board of the “International Journal of Cosmetic Surgery and Aesthetic Dermatology”. Dr. Maurizio Ceccarelli is the Director of International Centre for Study and Research in Aesthetic and Physiological Medicine in Rome, Italy and Chairman of Bioregeneration Medicine for the American Association of Aesthetic Medicine and Surgery. A pioneer in bio-stimulant anegenerative aesthetics, Dr. Ceccarelli earned his degree in Biological Sciences at the Universita ‘degli Studi di Roma, and his degree in Medicine and Surgery at the University of Rome Universita’degli. The American Association of Aesthetics Medicine and Surgery has awarded the accolade of Member of Honor to physicians around the world that have contributed significantly to scientific and technical development in the field of Aesthetic Medicine, Plastic and Cosmetic Surgery during their career. It is an honor to grant this award to Dr. Nabil Fakih. Dr. Julio A. Ferreira is one of the pioneers of Aesthetic Medicine and Surgery in Argentina and South America as well. Since 1986, when he was co-founder of the Argentine Society of Aesthetic Medicine in buenos Aires, the first of its kind in the country, is renown by the extensive work, diffusion and development of Aesthetic Medicine and Surgery in South America and Europe. 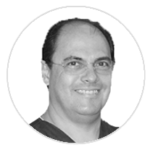 Dr. Julio Gustavo Ferreira is the coordinator of SAACS surgical courses since 2008. Graduated at Favaloro University of Buenos Aires, Argentina in 1999, completed his Residencies in General Surgery at Magdalena V. de Martinez Hospital of Buenos Aires, and Plastic and Reconstructive Surgery with Prof. Dr. José Juri at Clínica Juri – Buenos Aires, Argentina. From a very young age, he worked and traveled the world with his father, Prof. Dr. Julio A. Ferreira, in the fields of Aesthetic Medicine and Surgery, which gave him expertise in combining Aesthetic Surgery and minimal invasive procedures, with classic Plastic Surgery techniques. He has an active private practice as Plastic, Reconstructive and Aesthetic Surgeon in Clínica Ferreira, Buenos Aires – Argentina. As SAACS delegate he is frequently invited as speaker in international congresses, coordinates educational activities for surgeons and also has developed a broad range of courses for aesthetic auxiliary staff. After 10 years of experience, the speaker of Lebon laboratory and Linnea Safe Manufacturer, Dr. Eduardo Costa brings to AAAMS his knowledge and wisdom in Bioplasty to provide excellent training courses that teach natural results. With over 3,000 documented cases, Dr. Costa has perfected the Bioplasty technique and has mastered and evolved it over the the last 8 years. Dr. Costa owns three clinics in Brazil and visits the U.S. often to consult and train medical professionals. Dr. Roberto Sanchez graduated from the Universidad Autónoma de Nuevo León in Mexico with a speciality in maxillofacial surgery. In addition, he completed the Advance International Educational Program on Implantology and Oral Rehabilitation from New York University. Dr. Sanchez opened his private clinic focusing his energy and talent on implant dentistry and progressive dentistry. He serves as the President of the Mexican Federation of Oral Implantology 2009 as well as a speaker, educator and key opinion leader for several implant and dental companies. Dr. Sanchez is the Founder of Implant XP Instituto in Monterey, Mexico and a Certified IAA Educator for International Academy of Aesthetics. Dr. Luis Sanchez graduated with honors from the Universidad Autónoma de Nuevo León in Mexico. He completed his post-graduate program in Advanced Esthetic & Restorative Dentistry from the University of California Los Angeles. Dr. Sanchez opened the first private multi-speciality dental practice in San Pedro, Mexico, most famous for combining esthetic dentistry and facial aesthetics. He is renowned for his signature style of progressive dentistry and high-profile patient base. Dr. Sanchez was recently recognized as the “Best Aesthetic Dentists in the Americas” by Ivoclar Vivadent and received 1st place in the entire North and South America region at the IPS e.max Smile Awards 2016. 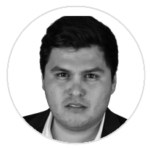 He is an active speaker, an avid educator for Implant XP Instituto in Monterey, Mexico and a Certified IAA Educator for International Academy of Aesthetics. James Peng is the President of AAAMS in the Asia-Pacific region. He is the Chairman and President of C.P.D. Global, a leading training program provider for Continuing Medical Education in the Greater China Region and Chairman and President of Global Star Medical Agency which provides a platform for cross-straits value-added aesthetic medicine end-to-end service which aims at establishing a service network within ASEAN Plus One. Mr. Peng has acted as Chief Strategy Officer of Global Education Center, GEC Group, a reputable international medical cooperate organization since 2006. Before that, he was a professional business manager working for Delta Network and Acer Group. Owing to his remarkable interdisciplinary training and extensive international experiences, Mr. Peng carries multiple titles as International Representative for Royal Society of Medicine in Greater China and Executive Secretariat of Asia-Pacific Office of CEU San Pablo University Foundation, Spain. Dr. Chun-Tang Chiu, a board-certified dermatologist from Taiwan and receiving his M.D and PhD degree in biochemistry and biotechnology from Chung Shan Medical University, Taiwan, has 15-year of extensive clinical experience. Dr. Chiu has been recognized as one of few leading talents in the group of middle-aged aesthetic practitioners in Taiwan due to his passion, his outstanding injecting skills and his sense of the art in the field of aesthetic medicine. He has performed thousands of aesthetic procedures and regularly been invited, by many aesthetic medical societies and the vendors such as Allergan, Galderma ..etc, as keynote speaker and lecturer sharing his knowledge and techniques to the medical professionals in Asia. One of the many instances, in Dec. 2014, Dr. Chiu, representing Allergan China as international certified educator, completed a 2-week long road-show giving advanced aesthetic and technical workshop to Chinese doctors in 13 hospitals, across 5 main cities in 3 provinces. Dr. Jeff Huang received his training in dermatology in Mackay memorial hospital after graduation from National Taiwan University. He is a board certified doctor in both internal medicine and dermatology. He has extensive experience in cosmetic dermatology, mainly in the fields of lasers, non-invasive or minimally invasive procedures. He is currently the president of iBeauty clinic in Taipei, the international speaker for Galderma and Merz, as well as the international trainer of many energy-based devices. He travels to China and south-east Asia a lot to share his techniques and experience with the physicians and beauticians. Dr. Jeff Huang is interested in volunteer works. He went to Kiribati (islands in Pacific ocean) in 2008 for diagnosis and treatment of tropical skin diseases. In 2009, after a catastrophic typhoon in Myanmar, he went there for medical help. In 2011, he joined an international program attended by Mackay memorial hospital to Gambia for medical services. He sometimes visits rural orphanages or rural areas in Taiwan for free medical services. Dr. Jeff Huang is a member of Taiwan Dermatology Association, Taiwan Internal Medicine Association, American Academy of Dermatology, American Academy of Aesthetic Medicine, and Taiwan Association of Aesthetic Medicine and Surgery. Dr. Cheng-Sheng Chiu is a board-certificated dermatologist and the chief of Chiu skin and beauty clinic, Taipei, Taiwan. Dr. Chiu is an expert in aesthetic dermatology and dermatologic surgery, and active in giving lectures about various topics in cosmetic and micro-cosmetic surgery. Dr. Chiu received his MD degree from National Yang Ming University in Taiwan, and M.P.H. from the Johns Hopkins University. He became a diplomat of Dermatology in Taiwan, an international diploma of Dermatopathology, a research fellow of diagnostic pathology in Tokyo Medical University, and a clinical fellow of dermatologic surgery in Toranomon Hospital in Japan. Dr. Chiu used to be an assistant professor of Dermatology in Chang Gung Memorial Hospital, and a lecture of Dermatology in Chang Gung University. He is the members of Taiwanese Dermatological Association, American Academic of Dermatology, American Academy of Cosmetic Surgery, International Society of Hair Restoration Surgery. Besides, he is also a reviewer of many professional medical journals about dermatology and aesthetic medicine. Dr. Su graduated from the Chung Shan Medical University. He completed his specialty training at Veterans General Hospital Taichung Center, follow of fellowship training in National Taiwan University Hospital. Dr. Su concentrated his talents on treating leprosy and had cooperation with Taiwan Centers for Disease Control. He was board of trustee in cosmetics production and manufacturing, certified by the Medical and Pharmaceutical Industry Technology and Development Center. He also held roles of Laser and Aesthetic Medical Center in Veterans General Hospital Taichung Center. Dr. Su is presently the director of the Chen Chih Dermatological, Cosmetic and Laser Clinic, Taichung. He is also an active speaker and certified trainer for many cosmetics product, Juvéderm, Restylane, Radiesse, Anteis, Sculptra and Ultraformer. Dr. Yao-Yuan Chang is a board certified plastic surgeon in Taiwan, and the director of Yes Plastic Surgery and Dermatology Clinic in Taipei. He received plastic surgery training in Mackay memorial hospital after graduation from National Chung-Kung University and received master degree in biomedical material from Taipei Medical University. He published several papers on journal in aesthetic field and translated several books in mini-invasive procedures. He has broad interesting in beauty for general recognition, aesthetic surgery and procedures. He was also invited to Southeast Asia and China to share his experience on aesthetic evaluation, surgery procedures, filler injection and botulism toxin use. He provides training courses for international trainees to his clinic for detailed lecture and live demo as well. Dr. Chang has been invited as the advertising person for product endorsement and for media expression such as, Avon and Numen biotech. He is a certified lecturer by Taiwan Ministry of Education, and also the international speaker for Merz, Allergan, Dysport, the lecturer of Taiwan Medical Beauty Nursing Society, Taiwan association of Aesthetic Medicine and Surgery, Chinese Society of Cosmetic Surgery and Anti-aging Medicine. Dr. Chang is a member of Taiwan Society of Plastic Surgery, Taiwan Society of Aesthetic Plastic Surgery and International Society of Aesthetic Plastic Surgery. He is also a reviewer of Aesthetic Plastic Surgery and has ever been the editorial board member of Plastic and Aesthetic Research, Deputy secretary of Taiwan Mini- Aesthetic Society.